Real Estate vs Mutual Funds - Which Is A Better Investment Option? Investing in real estate is one of the oldest forms of investments. People were buying, selling, leasing land or properties much before stock markets were conceptualized. There were many reasons behind investing in real estate – regular income from rent, asset appreciation since the value of a property tends to increase with time and security for the family of the owner. Further, there were no complicated formulas or calculations involved with these investments. However, in recent times, investors get overwhelmed by the sheer number of investment options available to them like stocks, bonds, mutual funds, gold, etc. In this article, we will compare two investment options – Real Estate vs Mutual Funds. Real Estate is physical or real property which includes land and anything permanent or fixed or immovable attached to it like buildings, roads, trees, fences, etc. In other words, real estate includes land, all human-made and natural structures attached to it. 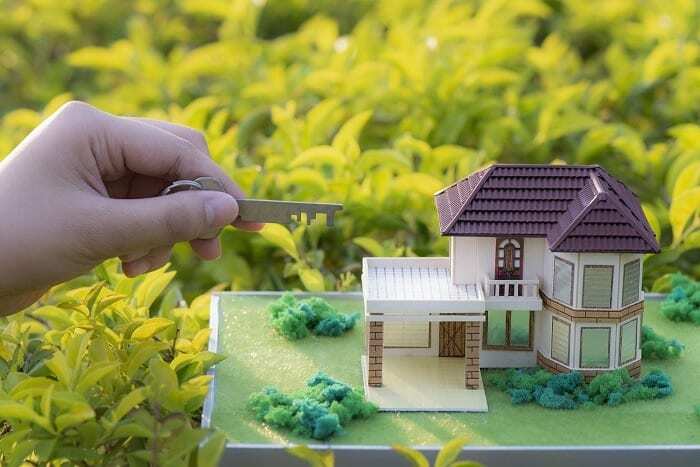 As an investor, you can either buy, sell, lease a residential, commercial, or industrial property or even a piece of land without any structures. Mutual Funds, on the other hand, are investment products which pool money from investors with similar financial goals and invest them on their behalf in market-linked instruments. A team of professional fund managers manages the investment portfolio of a mutual fund scheme. Some schemes offer regular income while some others endeavor to grow your capital by investing in adequate assets. Simplicity Unlike other market-linked investment options, investing in real estate does not require you to understand complex jargons or statistical ratios. It is a simple demand-supply driven market and is easy to understand. Finding the mutual fund schemes to suit your investment objectives requires you to look at various performance ratios and indices. This is important since mutual fund returns are usually affected by market volatility. Increasing the value of the investment Once you purchase a property, you can work on it and increase its value. For example, you can grow a garden in the backyard or terrace or even do some structural changes. This can help you fetch good returns. In Mutual Funds, your returns depend on the performance of the underlying assets, and you can’t do anything to increase the value of your investment. Effects of Inflation Investing in real estate is a natural protection against inflation. Usually, during the boom, real estate property prices increase too. Inflation tends to have a dampening effect on mutual fund returns. This is because investors tend to withdraw their investments or refrain from making more investments during inflation. Capital Appreciation and Regular income When you purchase a property, you have dual possibilities of income. First, the property increases in value as time goes by and second, you can lease out your property and earn regular rental income. Therefore, it offers both capital appreciation and regular income to investors. While investing in Mutual Funds, you need to choose between growth and dividend options. This means that you either get to grow your portfolio or receive regular income – not both. Liquidity Real estate investments are not highly liquid. Selling your property is a time-consuming process and usually takes a few months. Therefore, liquidity is not a strength of these investments. Mutual fund investments can be liquidated within a few days. Consequently, they offer higher liquidity than real estate investments. This is helpful, especially in exigencies. Minimum Investment amount Traditionally, investing in real estate entailed a huge corpus of money and was not suitable for small investors. However, with REITs and Real Estate Crowdfunding, this barrier no longer exists. Today, investors can participate in the real estate market with minimum amounts. Mutual Fund investments can be made even with small amounts of money making it a good option for regular savers. Maintenance Usually, real estate properties require maintenance. This means that as a property owner you need to invest time and money to keep your property in shape. Mutual Fund investments do not require any maintenance. Also, professional fund managers regularly monitor and rebalance the portfolio to keep it in sync with the scheme’s objectives. As you can see, investing in real estate or mutual funds has some pros and cons. Therefore, it is important to stick to your financial plan before making a decision. Determine your investment objectives or financial goals. These goals help you determine the amount of risk you are willing to take with your investment and the time period for which you want to stay invested. For example, if you have a financial goal of creating a corpus for your child’s wedding, then you must look at long-term investment options. The risks will depend on your individual risk preference. Mutual funds offer low, medium, and high-risk schemes. Hence, being clear about your risk preference is important before choosing a scheme. On the other hand, investing in real estate are considered to be safer than mutual funds since they are not affected by market fluctuations. As an investor, you are in the best position to determine the assets that would be best for your financial goals. While real estate investments seem like a safer option, if you are looking for high returns and don’t mind taking a few risks, then equity mutual funds might be perfect for you. Talk to an investment advisor and ensure that you have a clear financial plan before you start investing. What are REITs and how do they function? Is investing a good idea while in debt?